As you know, on March 2, Bestiary, as a new update for Path of Exile, and it is coming on March 2nd. Path of Exile is getting another update so big that lead designer Chris Wilson confessed he can't decide whether or not to call it a full-blown expansion. According to official website, and you can watch the new update's trailer, of course, in order to meet your needs, the following is the latest trailer, and if you longing to watch more videos, click for source. Bestiary is shaping up to be another massive and exciting update. As a dedicated player, it's wonderful and surprising to see how adeptly Grinding Gear Games has managed to pump out sizeable update after sizeable update four times a year. Wilson explains that The Elder is getting even more powerful now, and is capable of corrupting the four Shaper Guardians who act as the semi-final endgame boss. The big addition in Bestiary is an overhauled Ascendancy system. These special skill trees were originally designed to add a bit of unique class identity to characters but, overtime, have lost a lot of their impact due to new skills and systems being added with each update. The last update completely shook up the endgame by introducing The Elder, a boss that is corrupting the Atlas of Worlds and its creator, The Shaper. 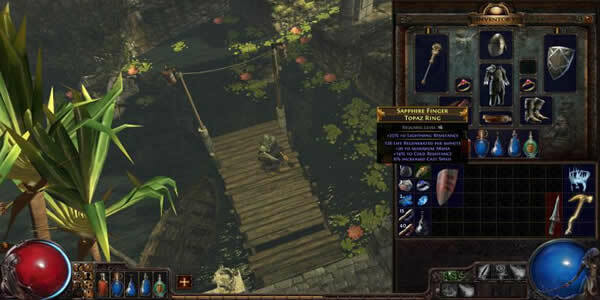 Path of Exile doesn't really do set items historically," Wilson says. "They're cool because you get to focus your character around one theme, but they're a problem because you focused your character around one theme and now you're the exact same as every other player who did that. We've tried very hard to make them all optional. You are so fortunately, and you will have chance to buy cheap path of exile orbs from U4GM, and then you can play the game at ease.